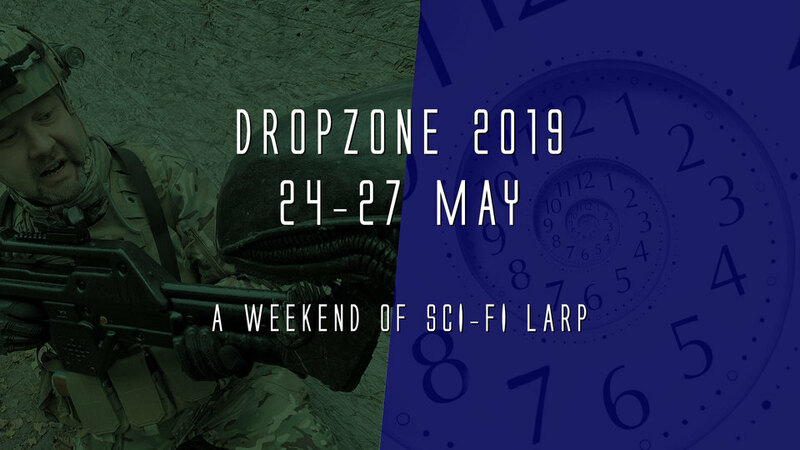 The 27th annual laser-tag LARP weekend returns to Gunman Airsoft at Eversley for the late May bank holiday. As always there will be a variety of games — this year taking on the Alien and Blade Runner inspired High Frontier and the new Time Agency settings. You can find players' guides for both on our documents page. Book online using the UKLTA booking system. The Dropzone guide is now available. The games will take place at Gunman Airsoft at Eversley. All times are aproximate. More information about all the games can be found in the Dropzone Booklet. You can discuss this event on our forum and its Facebook page.